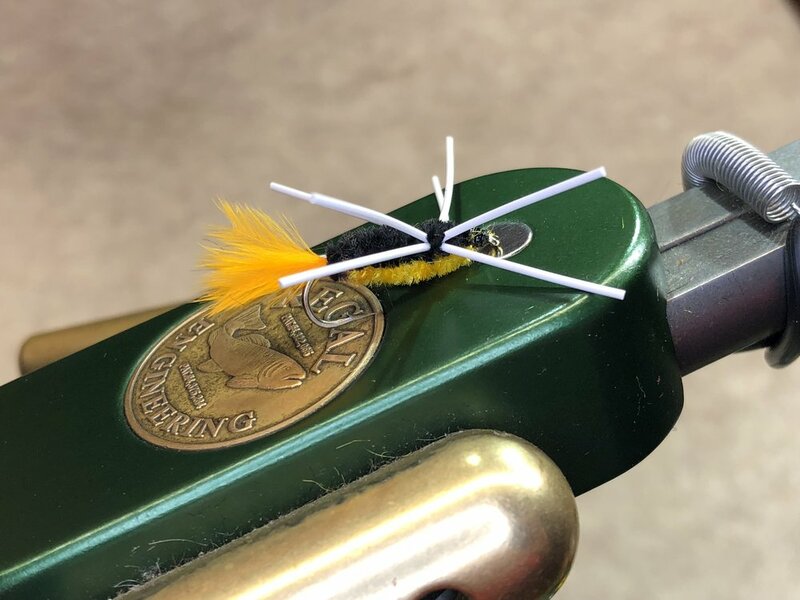 A simple bass bug made from a couple feathers a piece of cork and some stick on eyes. If you are a regular reader of this blog you know by now, that simple is not a common theme around here. As a fly fisherman that loves fly tying almost as much as the fishing, I tend to get a bit carried away at times. However, every once and a while I like to get back to the basics. I was working a heavily wooded shoreline of a local pond late one afternoon when I observed a little commotion on the water. A bright green object around two inches long was fluttering about on the surface. Ready for action! 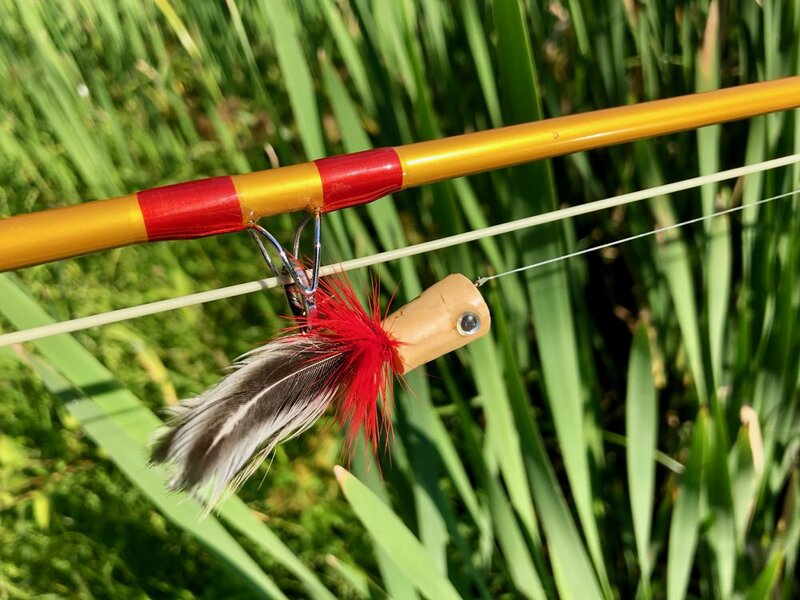 The Stayner Ducktail is a good pattern for big, late summer bluegills. The Stayner Ducktail is a streamer pattern that has been knocking around in my fly boxes for a long time. 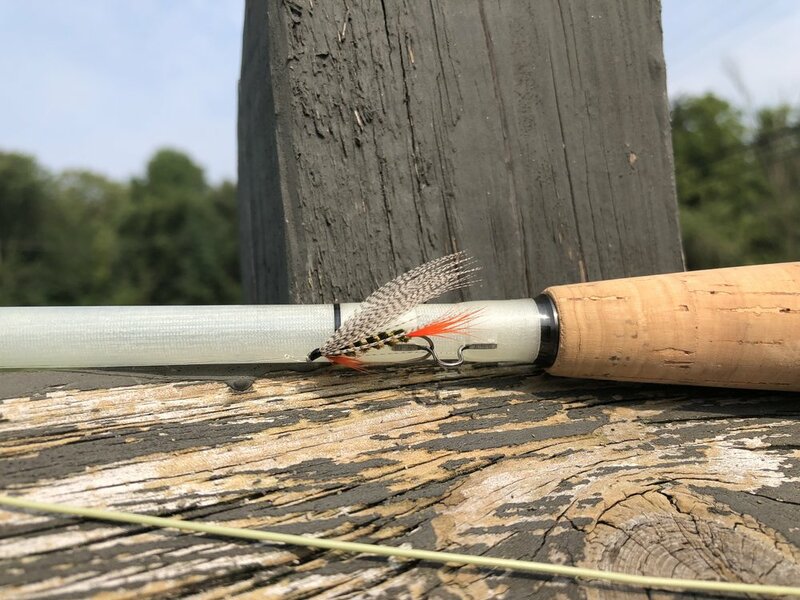 It has caught more than its share of trout and landlocked salmon for me over the years and like all successful flies it eventually migrated into my warm water boxes. However, this one did not find its way there by accident. As I held the fly in my hand, I could see that it was probably an early attempt at some sort of terrestrial pattern, possibly a cricket, by the fly tier who donated the materials. The fly was crudely tied with heavy sewing thread. It had a preformed foam spider body and knotted rubber legs tied in all helter-skelter. The knotted legs are what makes me believe it was meant to imitate a cricket.